A printing press need not be a cripplingly expensive 3 tonne piece of image making equipment. There are affordable, simple to operate and maintain presses on the market. I know there are because I just bought one and I’m going to fix it up just to show you how easy it can be. Trust me, if I can do it, anyone can. I found an Adana 5 x 3 press for sale about 20 miles from where I live for £90/$138 (ish). If I can find one for sale here in Cornwall, you can find one almost anywhere. I already had a tabletop proofing press which was given to me by a tutor. It has, and continues, to serve me well. However, I thought that, considering I run a printmaking blog, that I should think about looking into other kinds of press. I am interested in all aspects of printmaking and don’t particularly want to draw any distinction between fine art and industrial processes apart from wanting to focus primarily on methods where the printmaker has a large part in the making of an impression. Notice I say impression and not print. I guess I am reluctant to make a distinction between fine art printmaking and small press printing, including the letterpress arts. To my mind the creative processes involved in both, while not necessarily the same, are important and should be celebrated. In fact there is a possibility that the future of the latter may depend on the interest of the former. It seems that the resurgence in interest in the letterpress arts is partly due to public demand for high quality handmade items, but also the general propensity of artists to celebrate the marginalised. 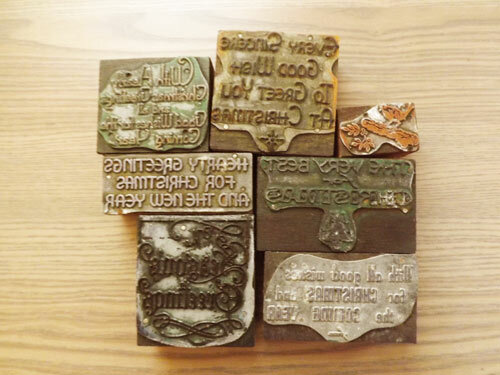 Now that Letterpress as a trade is dying and many small printers are closing shop due to the onslaught of digital printing, Letterpress is free to become something different, that is, as long as there are those who are prepared to learn the necessary skills. I bought an Adana 5 x 3 press, so called because the size of the chase (the frame which holds the type) measures 5 x 3 inches at its largest. Not huge by any stretch of the imagination, but plenty big enough for what I had in mind. I wanted to learn a little more about Letterpress, as for most of my printing life I have focussed on making art prints with lino and wood. I thought I might make a range of cards and small prints in larger editions, and play around with more colours than I usually do. Besides, I like tinkering with old machines. I’m no Fred Dibnah (who incidentally had his workshop just around the corner from my college), but Adana’s are pretty straight forward machines. I have already given this one a bit of a clean – I’ll continue this over the next few weeks, and give you all an update when I start printing. A bunch of type and spacers came with the press and I have had the parts kicking around to build a polymer plate exposure unit for a while (yet another video to watch out for). You don’t have to use metal or wooden type, you see. You can make your own plates by exposing photosensitive polymer plates to light and … well you’ll get a better idea when I show you, but if you are curious now have a look at Maggie Bergman’s site here . Owning and maintaining a printing press can be managable by almost anyone, and you may find you are able to earn a little extra income from your hobby, or even find a new career. Whether you choose to take the plunge and buy a press or not, you can’t help but admire these wonderful machines and the craftsmen and artists who keep them turning out beautiful type and images. 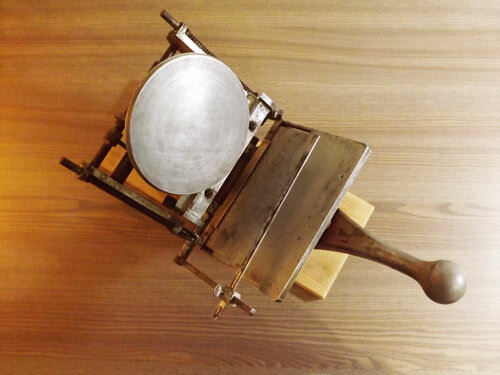 Do you already own a press? 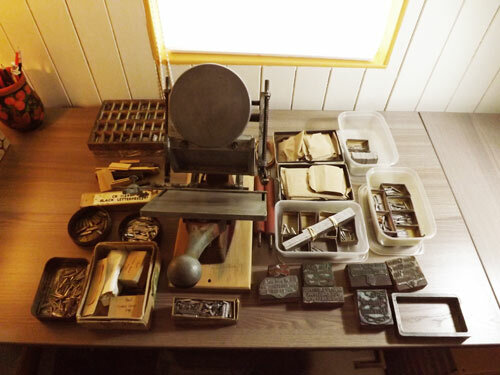 Do you run a letterpress business? If so, send a picture of you with your press to me at printmakingarts@gmail.com and I will start up a gallery of printmakers. To find out more about different types of printing presses head over to the British Letterpress website. Coming soon will be the follow up to this article where I will be making prints with the Adana. I’ll also have a video on building a photopolymer exposure unit from an old scanner. I have written a guide to help you find your own printing press at the right price which I’ll publish in a few days, so watch out for that. A really good read Matt. Look forward to being updated. Well done! Thanks Tim. I’m really looking forward to getting stuck in. platform available right now. (fromwhat I’ve read) Is that wat you’re using on your blog? Wow, apologies for the delay – no, I use WordPress. I don’t hear many people talking about Drupal unless they’re really into PHP programming, but it’s really a personal choice. I use WordPress because it’s simple, extendable to virtually any function, and well supported, but there are many alternatives. Cheers, Matt.